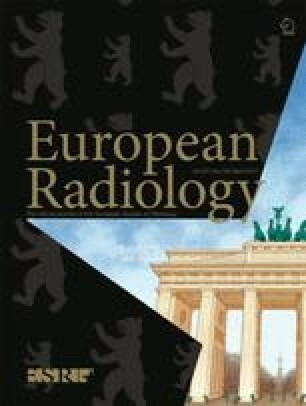 The aim of this study is to assess the effect of blood pressure (BP) on coronary computed tomography angiography (CTA) derived computational fractional flow reserve (CTA-FFR). Twenty-one patients who underwent coronary CTA and invasive FFR were retrospectively identified. Ischemia was defined as invasive FFR ≤0.80. Using a work-in-progress computational fluid dynamics algorithm, CTA-FFR was computed with BP measured before CTA, and simulated BPs of 60/50, 90/60, 110/70, 130/80, 150/90, and 180/100 mmHg respectively. Correlation between CTA-FFR and invasive FFR was assessed using Pearson test. The repeated measuring test was used for multiple comparisons of CTA-FFR values by simulated BP inputs. Twenty-nine vessels (14 with invasive FFR ≤0.80) were assessed. The average CTA-FFR for measured BP (134 ± 20/73 ± 12 mmHg) was 0.77 ± 0.12. Correlation between CTA-FFR by measured BP and invasive FFR was good (r = 0.735, P < 0.001). For simulated BPs of 60/50, 90/60, 110/70, 130/80, 150/90, and 180/100 mmHg, the CTA-FFR increased: 0.69 ± 0.13, 0.73 ± 0.12, 0.75 ± 0.12, 0.77 ± 0.11, 0.79 ± 0.11, and 0.81 ± 0.10 respectively (P < 0.05). Measurement of the BP just before CTA is preferred for accurate CTA-FFR simulation. BP variations in the common range slightly affect CTA-FFR. However, inaccurate BP assumptions differing from the patient-specific BP could cause misinterpretation of borderline significant lesions. • The blood pressure (BP) affects the CTA-FFR computation. • Measured BP before CT examination is preferable for accurate CTA-FFR simulation. • Inaccurate BP assumptions can cause misinterpretation of borderline significant lesions. The scientific guarantor of this publication is Koen Nieman. The authors of this manuscript declare no relationships with any companies, whose products or services may be related to the subject matter of the article. The authors state that this work has not received any funding. No complex statistical methods were necessary for this paper. Institutional Review Board approval was obtained at each institution. Written informed consent was waived by the Institutional Review Board due to retrospective observational nature of the study. Methodology: The study was designed as prospective, observational, multi-centre study.